Join Marty McFly (Michael J. Fox), Doc Brown (Christopher Lloyd) and a time-travelling DeLorean as they travel to the past, present and future - setting off a time-shattering chain reaction that disrupts the space-time continuum. From filmmakers Steven Speilberg, Robert Zemeckis and Bob Gale, experience the ultimate time travel adventure in Blu-Ray high definition. 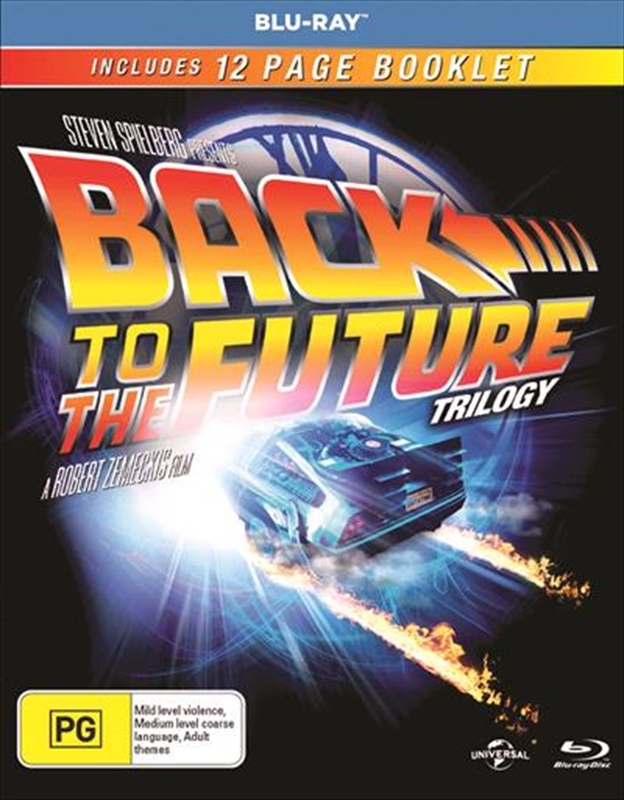 Packed with hours of bonus features - it's tme to go back to the future!